This is the second part of a post by Boyle Heights Historical Society Advisory Board member Rudy Martinez on a little-known statue for a largely-forgotten figure from the American Revolution, Haym Salomon. Enjoy and check back soon for the next installment! 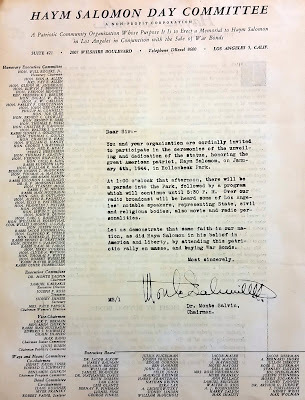 After a good deal of planning was instituted for the installation of the Haym Salomon statue at Hollenbeck Park in Boyle Heights, a letter was sent to the supporters of the project by the federal Treasury Department on behalf of the Haym Salomon Day Committee with the date for the unveiling (January 6, the anniversary of Salomon's death) and details for the accompanying war bond sales campaign. A follow-up invitation was soon sent out, inviting supporters to attend a fundraiser on December 18 at the Boyle Heights Victory House located at Brooklyn Avenue (now César Chávez Avenue) and Soto Street. Organizing the event with Monte Salvin was businessman Meyer Pransky, who was well-known in Boyle Heights for organizing a number of successful war bond drives that earned city-wide attention. 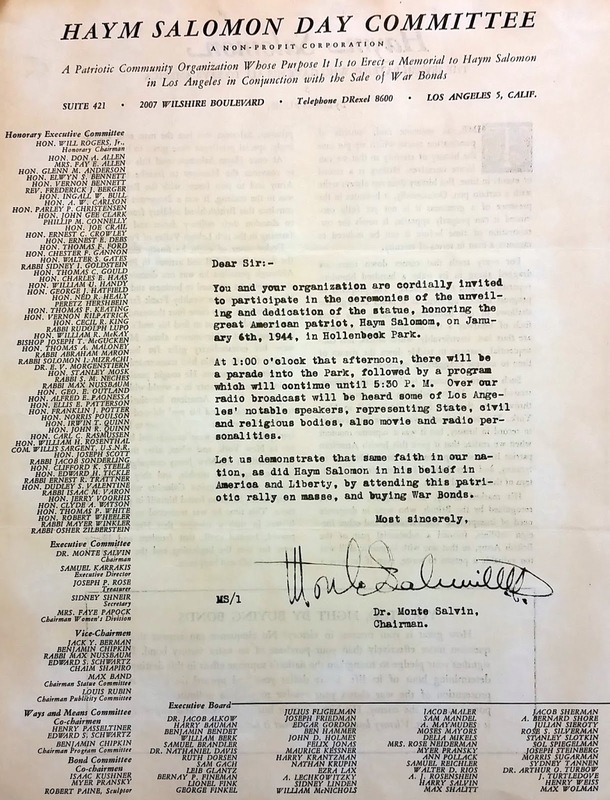 For example, a particularly impressive 21-day drive raised $300,000 by mid-January 1943, culminating in the christening of a B-12 Flying Fortress Bomber as “The Spirit Of Boyle Heights.” Meanwhile, a letter was also sent out by the Haym Salomon Day Committee to numerous civic leaders and organizations inviting them to Hollenbeck Park for the unveiling. On December 22, 1943, Mayor Fletcher Bowron signed a City of Los Angeles proclamation designating January 6, 1944 as Haym Salomon Day. An accompanying photo showed Bowron signing the proclamation with Salvin and film actress Marjorie Weaver, whose best-known film was 1939's Young Mr. Lincoln, starring Henry Fonda, and whose last film was only a year away, witnessing. The document specifically mentions Hollenbeck Park as the site for the unveiling event. 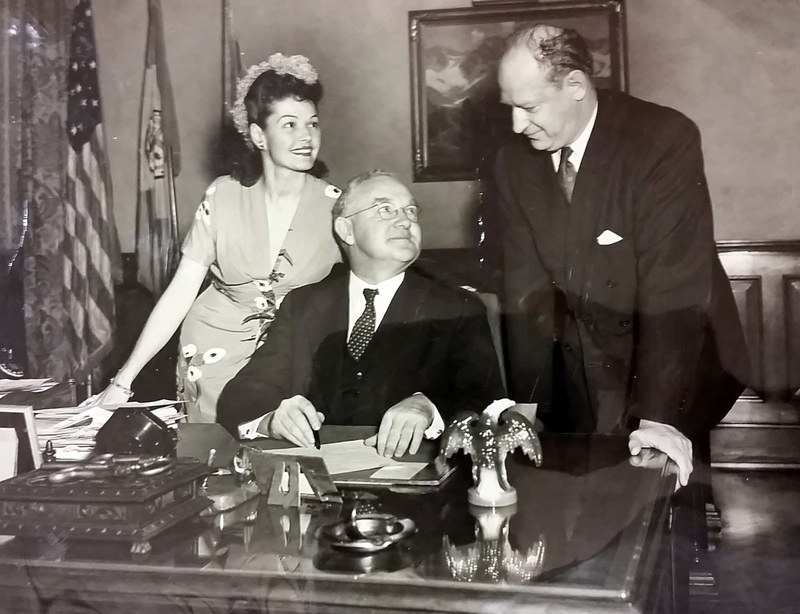 Actress Marjorie Weaver, Los Angeles mayor Fletcher Bowron and Haym Salomon Day Committee chair Monte Salvin at the signing of the proclamation of Haym Salomon Day. Courtesy of the Western States Jewish History Archive Collection, Charles E. Young Research Library, University of California, Los Angeles. In a community event almost completely unknown today, the unveiling of the Haym Salomon statue was met with great civic fanfare. The four-hour program included a military parade, a concert, a celebrity emcee, and a live broadcast over KFWB radio. The mayor, prominent citizens, representatives from various faiths, and even the local vice-consul of China were present. A large crowd attended the dedication of the Haym Salomon statue at Hollenbeck Park on 6 January 1944. Courtesy of the Los Angeles Herald Examiner photo collection, Los Angeles Public Library. According the Los Angeles Times, about one thousand spectators were in attendance, but this number may not even include those who lined the parade route. It was also reported that “more than $250,000 worth of war bonds were sold,” an impressive amount but far short of the committee's very ambitious goal of $3,000,000. 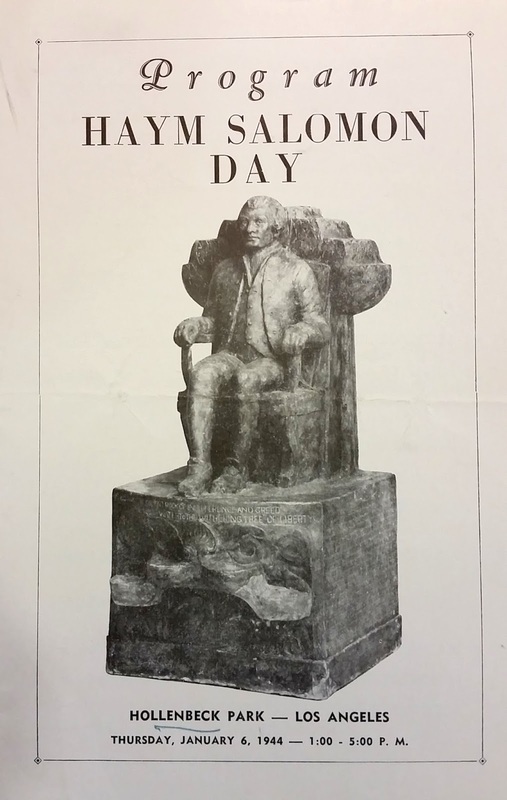 The cover of the program issued for the 6 January 1944 dedication of the Haym Salomon statue at Hollenbeck Park. Courtesy of the Western States Jewish History Archive Collection, Charles E. Young Research Library, University of California, Los Angeles. A two-page program was published for the event. A closer look at the document revealed a Hollywood connection literally hidden within the statue. 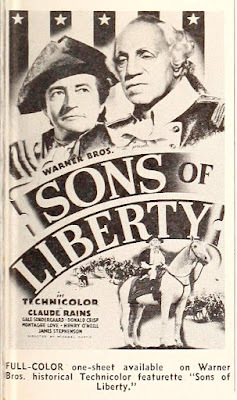 In 1939, Warner Brothers released a two-reel (about twenty minutes) film titled Sons of Liberty based on the life of Salomon and starring Claude Rains, a four-time Oscar nominee in such films as 1939's Mr. Smith Goes to Washington and 1942's Casablanca. 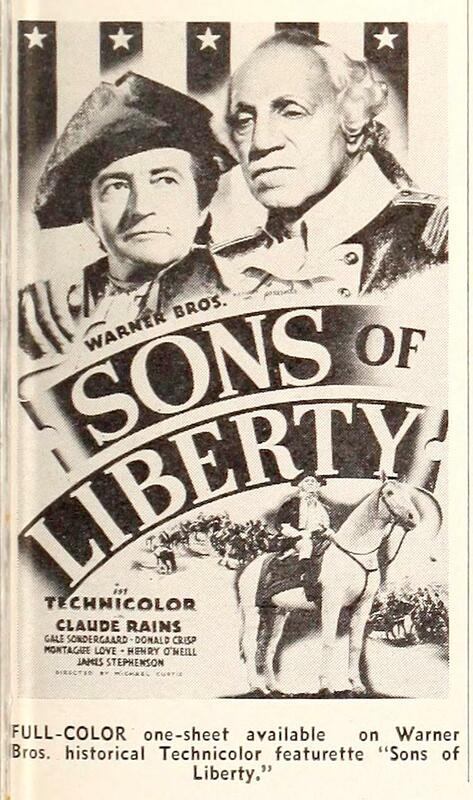 Sons of Liberty went on to win the 1940 Academy Award for Best Short Subject, Two-Reel. Starring Oscar-nominated actor Claude Rains, the two-reel short film, Sons of Liberty, about the contribution of Haym Salomon to the Revolutionary War effort won the 1940 Academy Award for Best Short Subject, Two-Reel. From The Film Daily, April-June 1939, courtesy of The Media History Digital Library. The second page of the program indicated the ceremonies included the “Sealing of Archives in Base of Statue” that included a copy of the film. It's interesting to note that, in depicting Salomon in any medium, artistic license has to be used because no contemporary likeness of him exists. No one today really knows what he looked like, so who knows if the British-born Rains bore any resemblance! The 7 January 1944 edition of the Los Angeles Times featured this article covering the unveiling of the statue. Los Angeles Times/Los Angeles Public Library. In Boyle Heights smaller-scale “anniversary ceremonies” continued at Hollenbeck Park over the next several years. 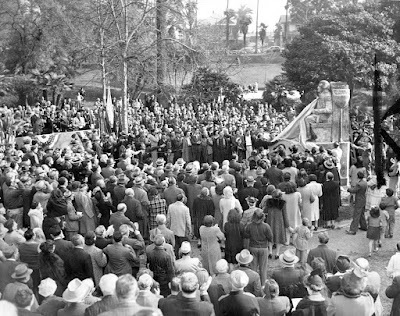 Noted historian and philosopher, Will Durant (winner, with his wife Ariel, of a Pulitzer Prize for one installment of the 11-volume Story of Civilization), addressed a Hollenbeck Park audience on the one-year anniversary on January 8, 1945. The war ended seven months later, signaling the beginnings of a population shift that would soon change the character of Boyle Heights and the location of the Haym Salomon statue. The next part of this series discusses how the Haym Salomon statue for points west, so check back soon!